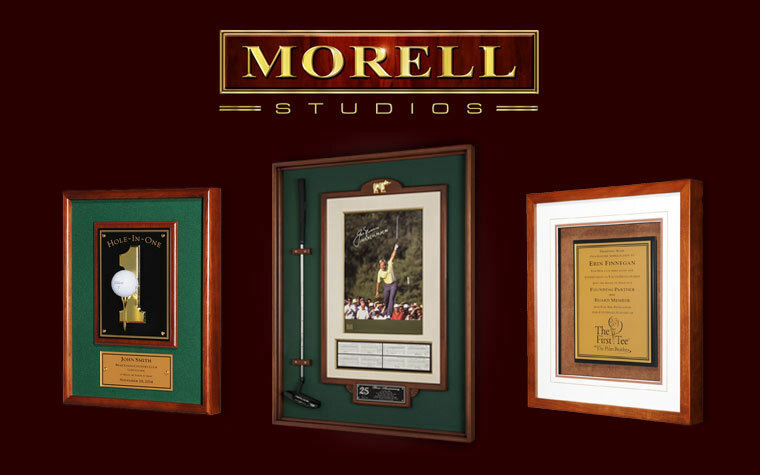 Morell Studios has created the latest edition of the annual PGA Section Awards for the fifth year in a row. In a joint collaboration with Kirk & Matz, Morell Studios has created the latest edition of the annual PGA Section Awards for the fifth year in a row. 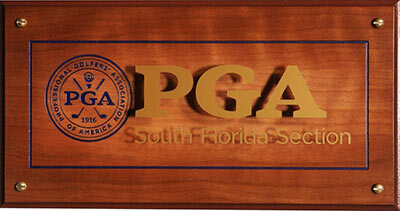 The awards were re-designed this year by Pat Morell and featured a new look with a wood engraved top panel with the PGA of America logo in blue and raised gold letters. 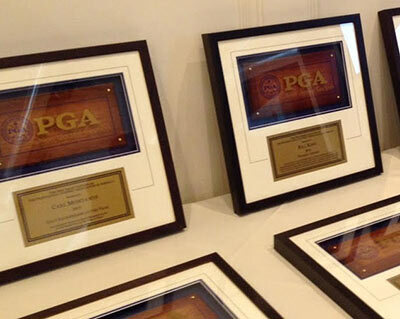 PGA Sections across the country are now receiving this year's awards. "Creating these awards each year is a privilege and an honor," said Pat Morell, Founder and Creative Director. "These awards are presented to the leading PGA Professionals across the country." 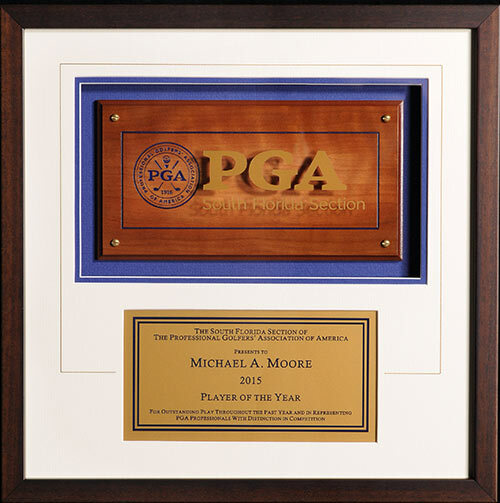 Over the next five months, each one of the PGA Sections will be recognizing their outstanding Professionals with this award. Pictured right: PGA Section Awards being prepared to be presented to members of the New Jersey Section of the PGA of America at their annual celebration. 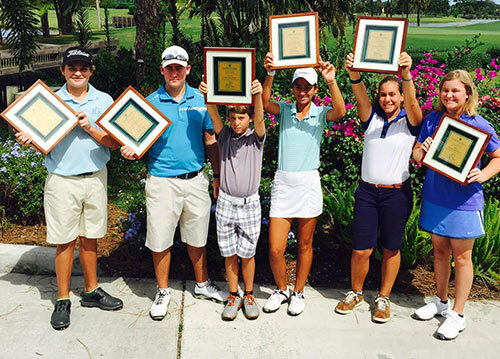 The First Tee of The Treasure Coast recently conducted a Golf Skills Challenge for South Florida junior players at Mariner Sands Country Club in Stuart, Florida. The competition tested the players' ability and skill in separate putting, chipping and driving contests using a point system to reward the best golf shots. Three age categories competed in both male and female divisions. The winners of each division received a gold metallic plaque created by Morell Studios. The plaques proved to be a very unique award for the juniors and featured a green background and green reverse engraved lettering to match the colors of the Mariner Sands logo. 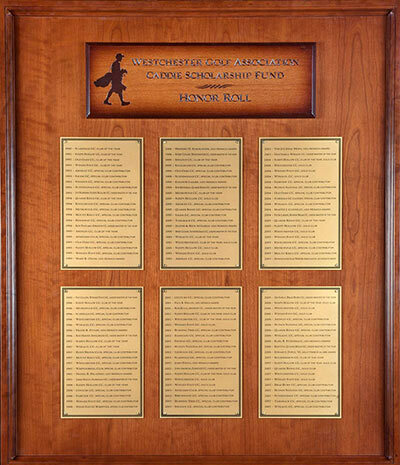 One of our finest creations was recently displayed at the Westchester Golf Association's new "Friends of the Fund" Best Ball Tournament at Hudson National Golf Club in Croton-on-Hudson, N.Y.
Morell Studios produced a handcrafted cherry wood "Honor Roll Panel" highlighting the individuals and golf clubs who have received awards for making significant contributions to the WGA Caddie Scholarship Fund. The WGA-CSF Honor Roll Panel is not only an enduring testament to CSF contributors, it also encourages new and existing donors to increase their contributions to the fund. The First Tee of The Treasure Coast recently conducted its annual Fall Golf Invitational at The Dye Preserve in Martin County, Florida. The tournament raised over $20,000 to support the mission and programs of the local chapter. The event was a one best-ball tournament in both net and gross divisions. 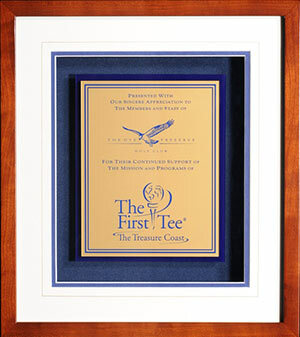 First place teams received a custom plaque featuring the logos of The Dye Preserve and The First Tee of The Treasure Coast. The plaques featured a blue background and matching blue reverse engraved lettering on a gold metallic plate. Pictured right: The winning foursome in the Net Division representing Team Braman Motorcars with chapter Director of Operations- Chuck Knebels, Chapter President- Andrew Hunt and Chapter Executive Director- Carl Mistretta. © 2015 Morell Studios. All Rights Reserved.